I went to another signing event. 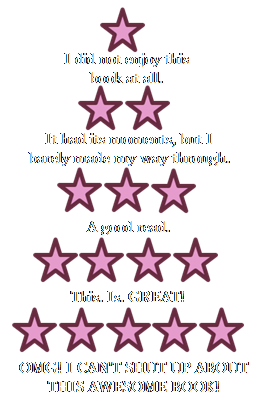 This time it was for Rebecca Ross’s The Queen’s Rising. I was actually only interested in Ross’s book. I’d been meaning to check it out since its release. This signing event popped up on my radar, though, so I was glad I waited to purchase a copy. At the event, Rebecca and Alexandra talked about a bunch of stuff during their panel. Alexandra mentioned how she used to be a pop star who opened up for bands like O-Town. I had no idea that she used to do that. And for her newest release, The Final Six, Alexandra actually went to space camp (for adults) to learn all the space-y stuff. She also has an Iranian astronaut friend to double-check the book’s science. 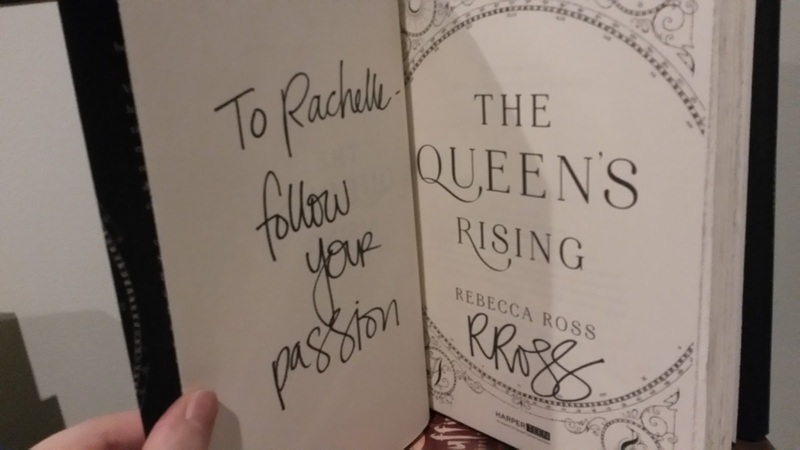 Rebecca mentioned that she wrote The Queen’s Rising because she wanted more female characters in fantasy for teens. She loves The Lord of the Rings and used to role-play as Aragorn, but then she realized there are no prominent female characters in those books. She also said that the main character of the book spoke directly to Rebecca with the line “I have yet to master my passion.” I’m not sure if this line is in the book or not, because I haven’t read it yet, but it’s a cool line. Originally, Rebecca wasn’t planning on her book being a series, but she ended up writing sequel in 24 days! She also wrote the first book in a little over 40! Man, I wish I could do that. 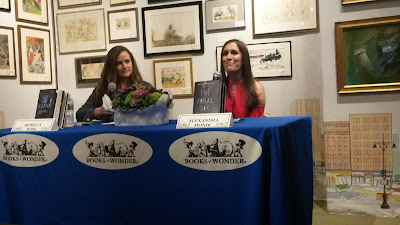 Once the panel was over, Rebecca and Alexandra signed books. 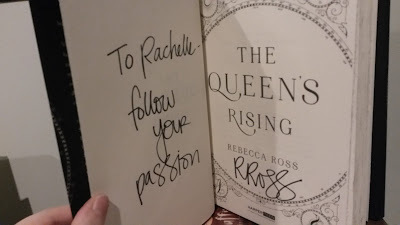 I only needed to have Rebecca sign mine, so I chatted with her about her book cover. Apparently, the cover actually has a lot of significance to the story. There’s a constellation, the passion symbols, and even the main character’s blue cloak. All in all, this event wasn’t my favorite, but it was okay. There were cookies, so that made it better. 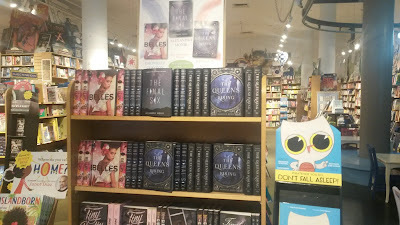 Have any of you read The Queen’s Rising or The Final Six? 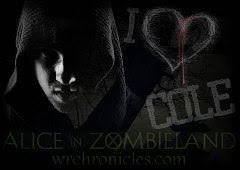 If so, what did you think of them?